Since the victory of the APNU+AFC coalition in 2015, the colour of APNU, green, in which the President is often dressed, is being promoted everywhere. It first started with school buses and school boats. Now it is reported that school benches at some locations are being painted green. These were followed by the new, imposing, fence at the Office of the President which itself, along with State House, have now fallen victim to the colour green. The designation of Guyana as ‘The Green State’ was not an accident. 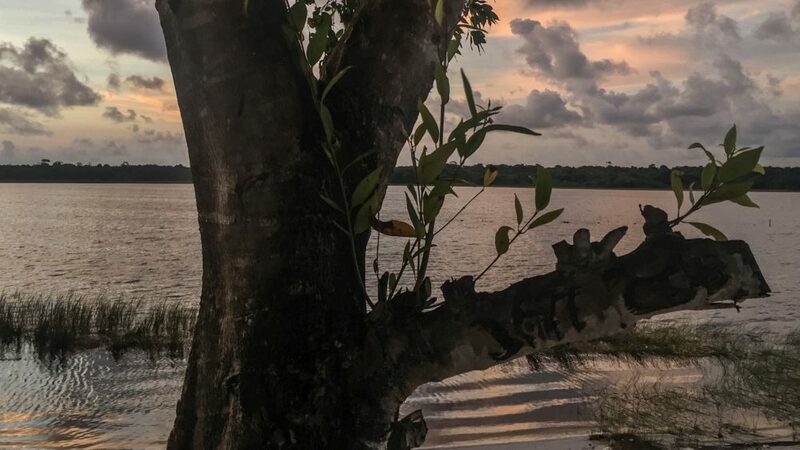 Dozens of characterizations could have been formulated to define Guyana’s intended adherence to a strict environmental regime, details of which are yet to be announced. But it is believed that the selection of the term ‘The Green State’ had something to do with the party colour and the President’s obvious attraction to it. The Government has deemed as suitable the bond owned by Linden Holdings in Sussex Street, Georgetown, which it contracted to store pharmaceuticals at $1,200 a square foot, when a bond for $228 a square is available. The Government said that the rental will be negotiated downwards and if the negotiations are unsuccessful then twelve months notice of termination in accordance with the agreement would be given. At $12 million a month, this will cost the Guyanese taxpayer $144 million, payable to Linden Holdings for an initial $25 million investment which it has already recovered as an initial advance. The Government might make mistakes, as Vice President Ramjattan admitted, but it does not lack an innovative and fertile imagination. The objections to the Government owned Diamond bond, which has been approved as suitable by international agencies, are that a fire can occur and that the traffic situation is not conducive! The word ‘Pharaoh’ and other abuse reverberated around downtown Georgetown a week and a half ago, directed to an embarrassed Mr. Bharrat Jagdeo. He was doing a ‘walkabout’ in support of vendors who had been displaced from around the Stabroek Market area. He may not have expected the vendors’ hostility because the last time he would have walked around Georgetown while President, with head in the air, chest puffed up and a phalanx of bodyguards, vendors would have given him a polite response, partly out of curiosity, partly out of respect and partly out of fear of the gun-toting bodyguards. Having fallen from grace, and not yet realizing it, the master practitioner of the politics of abuse expected applause but was instead on the receiving end of what he regularly dishes out to others. The vending industry in downtown Georgetown has grown to massive proportions. For 23 years PPP/C governments did little to slow the growth of vending. No additional accommodation, save in Water Street, was provided. No rules to protect vendors, customers and the general public, were promulgated. Vending had become chaotic and posed serious environmental, health, traffic and other hazards. The inconvenience to the public and other business people was massive and growing. President Granger’s swift and decisive action, tersely announced, to terminate the appointment of Mr. Brian Tiwari as a government adviser on business, dramatized an event that has titillated the political classes and has energized the media. It is clear that the President allows his officials enough latitude to get on with the job but that he also expects them as politicians, or holding political offices, to be sensitive to political currents so that they know when to consult or seek clearance for decisions which may have political ramifications. No one should now doubt that President Granger is prepared to boldly intervene, if and when he considers it necessary. Brian Tiwari abandoned traditional methods and began to overreach since 1992. It made him into an enormously wealthy man. Refining basic skills of negotiation and transforming the magician’s mantra of ‘the more you watch the less you see’ into business strategies that won vast variations of already vast contracts, high prices for suddenly scarce quarry products, buying and selling land at enormous profit, acquiring and selling mining properties at even greater profit, BK International has grown into a diverse conglomerate.